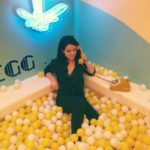 Now that the New Year is here, you may feel blind sighted by the fact that you haven’t exactly had time to plan out a specific bucket list to tackle for 2019. Don’t worry, with the chaos of the holidays and all that comes with a new year, we completely understand! With that said, this is exactly why we’ve decided to point out twelve regions of New York that are worth a peak. 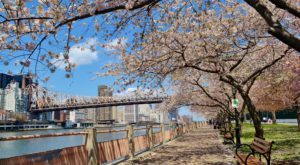 Scroll below and you’ll be able to find a region that you should explore during a specific month of the year, pinpointing all of the reasons why you’ll want to head to that area at the time. Keep reading to find out what’s up first! 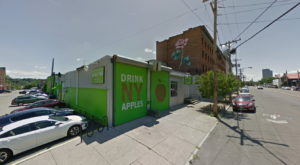 The Capital Region is a part of New York that has a lot to offer, even during the month of January. After the holidays have calmed down, you can start off your New Year by enjoying activities like the Grafton Lakes Winter Festival that turns our favorite state parks in the area into one exciting place to be. 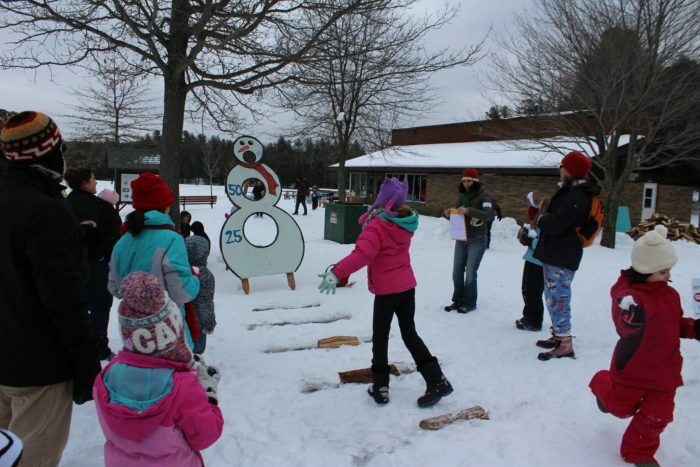 The winter festival features everything from a Polar Plunge into Long Pond, free snowmobile rides, horse carriage rides, a kids snowshoe race, kids snowball throwing contest, face painting, and other fun activities that the entire family can enjoy. Free admission for all who come, the festival has been an annual event for 34 years now. Other reasons you’ll enjoy the Capital Region during winter is because you can enjoy all that the Empire State Plaza has - including the New York State Museum and ice skating when the weather cooperates. 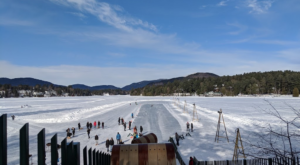 If you’re like me, you use the Saranac Lake Winter Carnival as your source of inspiration to plan a trip up north to the Adirondack Mountains. 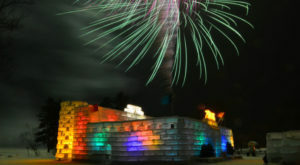 Taking place this year from February 1st through February 10th, this festival is the longest-running event of its kind in the Eastern U.S. - dating all the way back to 1897. 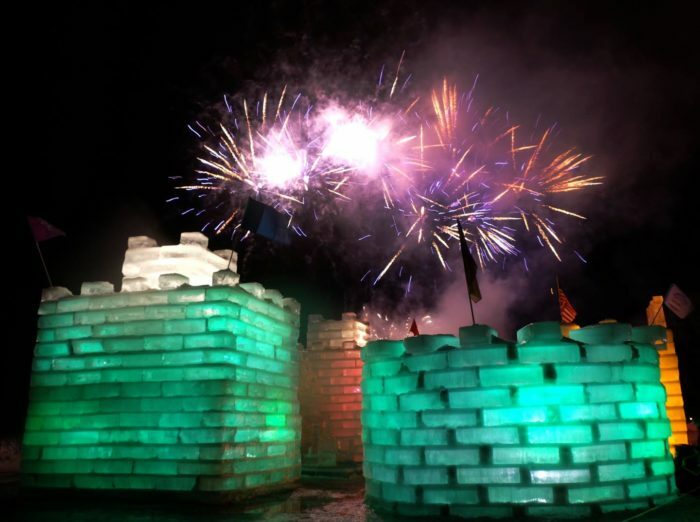 Each year, a mesmerizing ice castle is built right along the shores of Lake Flower in Saranac Lake, displaying a new theme each year. This year the festival’s theme was announced as "Prehistoric Park!". Other favorite things to do up north during this time of year are to enjoy winter hikes, visit all of Lake Placid’s attractions and live like it’s the Winter Olympics again, or even head over to Tupper Lake to enjoy The Wild Center during the off season, AKA fewer crowds. Fun fact about the month of March? This is when we celebrate Maple Weekends in Central New York. That's right, during the month of March we like to indulge in all things maple, a real delicacy out here in this region of New York. 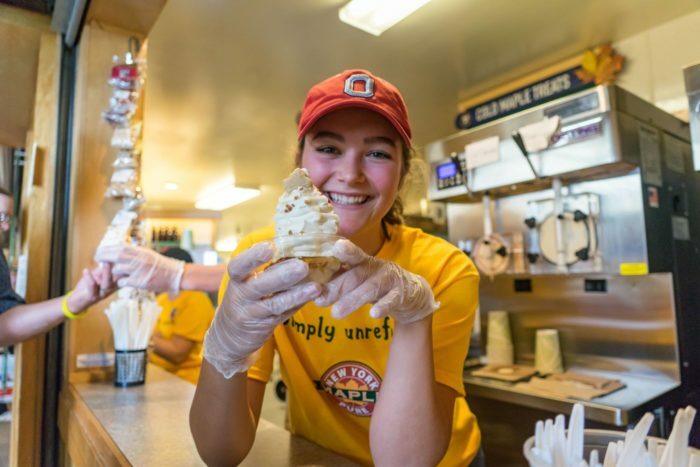 Generally speaking, March is specifically the time of year that's dedicated to enjoying maple and celebrating all that we love about it, but specifically the weekends of March 23rd and March 30th you'll find maple farms and destinations alike celebrating our state's official maple weekends. 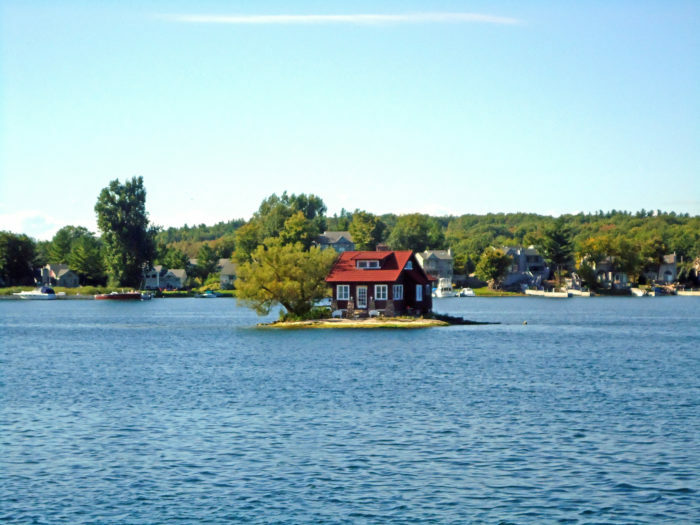 A secluded area of our state that's often overlooked, if you've yet to ever explore the Thousand Islands region of New York - make sure to do so in 2019. All up along the St. Lawrence River you can find charming waterfront towns, some of our favorites being Alexandria Bay and Cape Vincent for start. 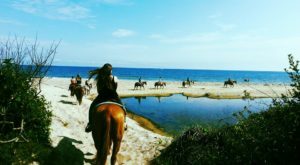 The area offers beautiful state parks, wonderful boat tours, castles, waterfront attractions, and even the Antique Boat Museum that will leave you completely fascinated. 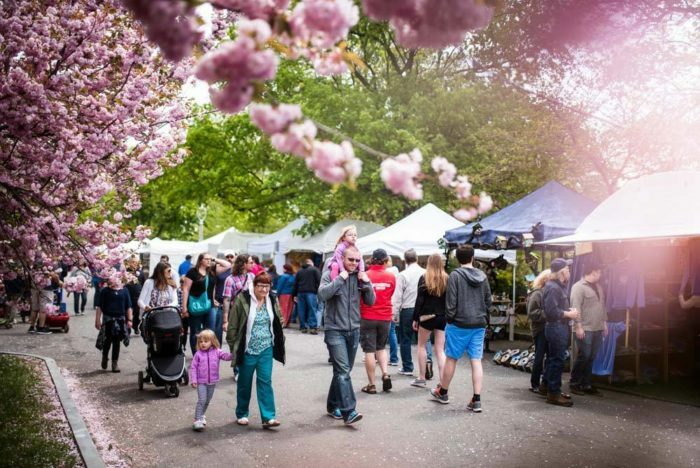 Taking place this year from May 10th through the 19th, the Rochester Lilac Festival is one of the most breathtaking festivals that you'll ever lay your eyes on in New York and the best reason to head out west during the month of May. 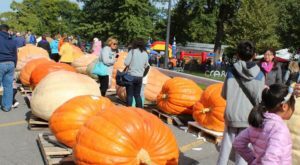 Taking place right in Rochester's Highland Park, the festival puts on an amazing festival that not only showcases the park's natural beauty but all that the city has to offer. If you ask us, Rochester is quite an amazing place to live and explore. 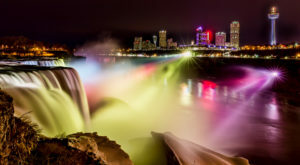 From amazing riverfront views and attractions along the Genesee River to enjoying the beauty of Lake Ontario, once things start warming up here in Western New York the area comes back to life. In a perfect world, we'd dedicate all twelve months to exploring different areas of the Finger Lakes Region alone. For the sake of time and money though, here are some suggestions simply for the month of June. 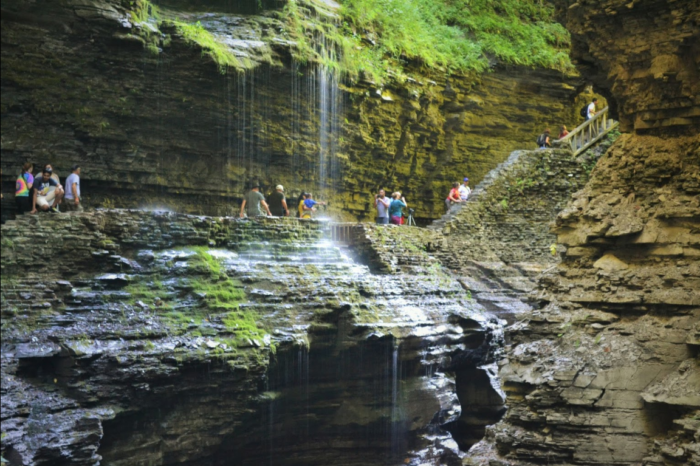 Beat the summer crowds and head right to Watkins Glen State Park where you can walk behind waterfalls and hike along a 2-mile long trail that showcases nearly 20 different waterfalls - talk about beautiful! The small town of Watkins Glen in the Finger Lakes is also home to one of our state's only harbor hotels that you'll love to stay at, as well as featuring quite a few other underrated waterfalls in town that help to make this region so stunning. For obvious reasons, Long Island is a popular place to visit during the summer. What could be better than enjoying views of the ocean or even going camping on the beach? Well, this summer the island is going to be an even more interesting place to visit come the month of July. Recently it was announced that the Netflix series Stranger Things will release its upcoming season on July 4th - a show that's inspired by events that supposedly took place at Camp Hero State Park. 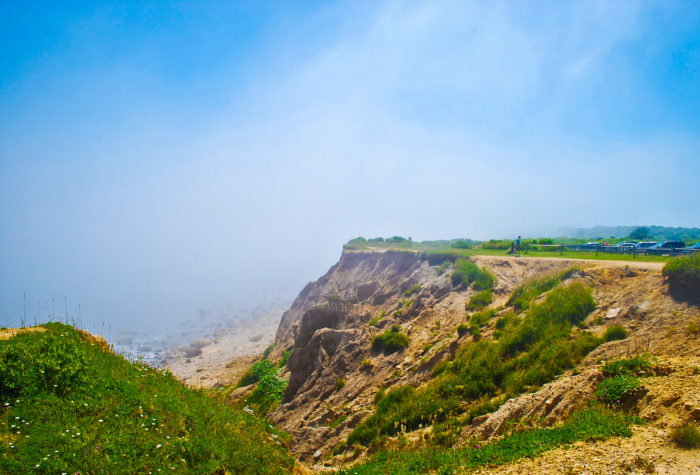 All of Montauk is a gorgeous area to explore when the sun is out and shining, so if you're going to head out to Long Island you might as well fully commit and make a point to explore the End of the World. 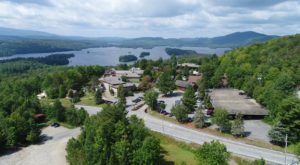 Heading up north to the Adirondack Mountains during the summer is a must, there are so many ways to keep yourself occupied and enjoy this time of year. 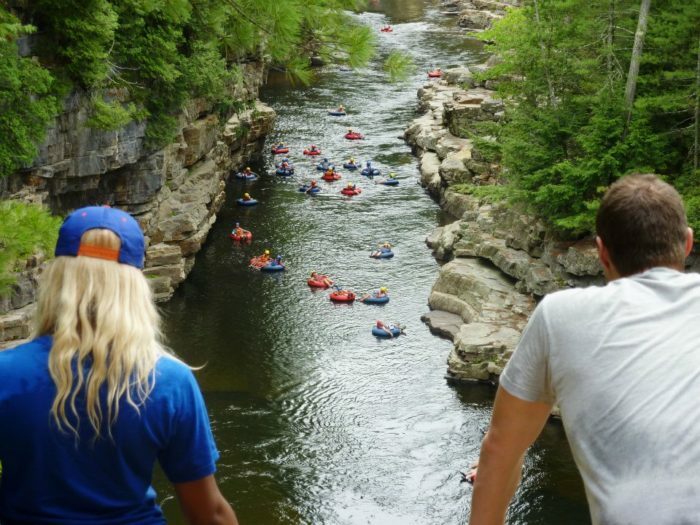 One of our favorite ways to enjoy the Adirondacks is to head up to places like Ausable Chasm, where you can float through America's oldest natural attraction and cool off in the water while you're surrounded by breathtaking gorges. Other obvious favorites to enjoy during summer are heading to places like Lake George, or even farther up north if you're looking to tackle a High Peak hike or go camping. The options are endless here during the month of August! 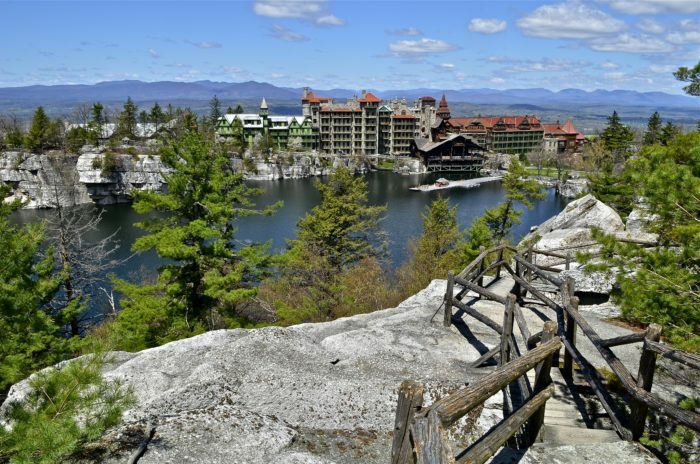 Possibly the most magical place that you could ever possibly stay at or visit in all of New York, the Mohonk Mountain House that's down in New Paltz in our Hudson Valley Region is truly one-of-a-kind. The gorgeous Victorian castle acts as a place where visitors can spend the night, while also offering a variety of other ways for people to come and enjoy this attraction. Book a room or buy a day-pass, you won't regret it! During the month of September at Mohonk Mountain House you'll be able to enjoy things like getting out onto the lake, hiking through our Lemon Squeeze, horseback riding, fine dining, gift shops, and more. Heading to any of our mountainous regions during the month of October will always be a rewarding adventure, but we personally a sweet spot during this time of year. 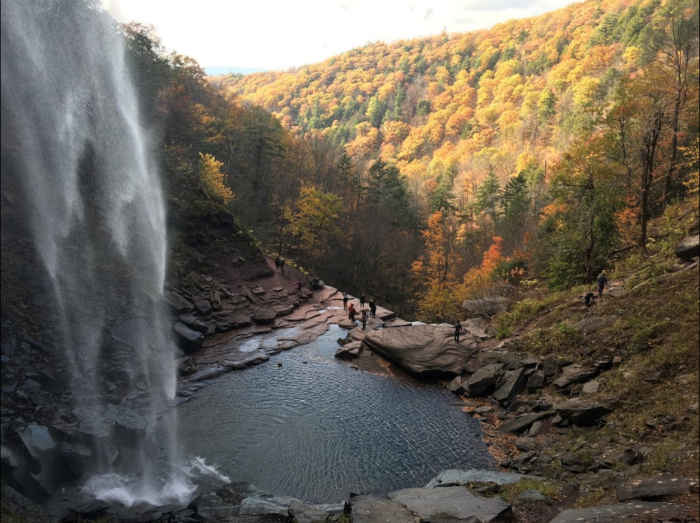 Stretch your legs and head outdoors to hike all around jaw-dropping destinations like Kaaterskill Falls. Nearby just a quick drive down the road you can also explore New York's Painted Village In The Sky - Tannersville, where all along Main Street you'll discover a variety of amazing restaurants, a country store, a cheese shop and themed restaurant, and so much more. Head further south past the Northern Catskills and you can also discover amazing day trips like hiking up to the summit of Overlook Mountain - where along the way you'll pass an abandoned mountain hotel. Or choose to check out another amazing town that's earned lots of recognition - Phoenicia. Exciting, huh? Out along New York's Southern Tier, once the holidays begin to roll around attractions like the Corning Museum of Glass become an even more exciting place to visit. 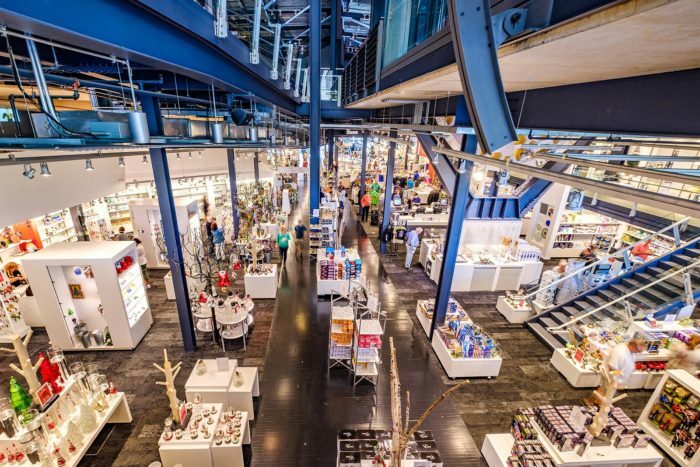 One of many favorite reasons to head out to places like the city of Corning, at the Corning Museum of Glass, not only will you get the extraordinary opportunity to see amazing works of art that are made out of glass, you'll also have the chance to even make your own glass art yourself here! Did we mention that once the holidays roll around you can actually come here to make your own glass ornaments? During the month of December, New York City becomes covered in holiday decorations and amazing lights that make the city sparkle even more than you already thought possible. 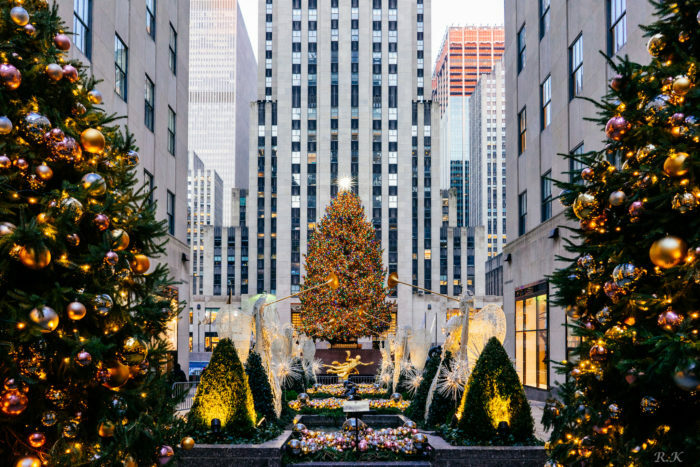 Those who visit the city for the holidays will be greeted by the amazing wonderland that's waiting for you at Rockefeller Center, where you'll find plenty of photo opportunities. Last year New York City also welcomed back FAO Schwarz, another amazing place in the city to check out for the holidays. Who doesn't look a gift from FAO? Where in New York are you most eager to explore in 2019? Make sure you share with us in the comments where you’re most excited to go!